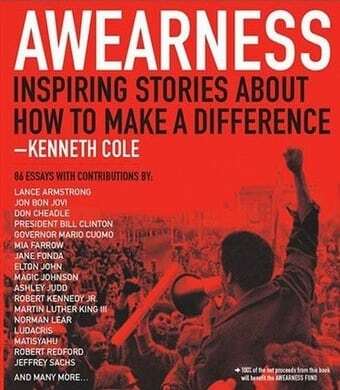 Designer Kenneth Cole has officially launched his Awearness program, a multimedia reflection on his brand’s 25-year history of social involvement. The initiative includes a blog, a book, and a program to link charities, consumers, and businesses with common goals. It was obvious to us when we set out to develop Awearness that we should leverage our most defining characteristic — our voice . So, it is fitting that the first platform to come out of Awearness is the Awearness blog. Initial response has been positive from our community as well as the industry. Techno//Marketer gave us 4 out of 5 stars based on Voice, Design and Content. Google recently accepted us as a credible news source. Traffic is building each day. The blog illustrated fairly quickly that our base wants to talk the talk but they also wanted to walk the walk –- they want to get involved, so we partnered with Volunteer Match to create the Kenneth Cole Volunteer Match site. From three drop down menus, you select the area of interest, your zip code and how far you are willing to travel, and dozens of opportunities are generated. The future potential of this initiative is very exciting. Our YouTube page showcases several Awearness-inspired videos that we have produced in-house, and along with our partners at Good Magazine. The Awearness Alliance allows our community to stay up to date on all things Awearness from events to products to special offers. This seems like the type of thing that E.S. readers are interested in, so have a peek at what K.C. has to offer.